With Thanksgiving coming up this week, many Oklahomans are spending the next 48 hours scrambling to find a recipe to bring to the family dinner that’s not only easy, but will also show their mother-in-law that they do, in fact, feed their husband more than McDonalds and Hamburger Helper. While websites like All Recipes and Pinterest offer thousands of dish ideas to wow a crowd, there’s nothing quite like whipping up a down home recipe from a down home girl with her mother’s country club cookbook. And thankfully, the Pioneer Woman offers an entire collection of Thanksgiving-inspired recipes to satisfy. 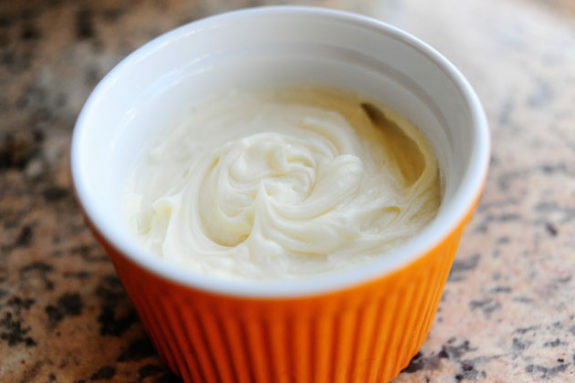 Here are 5 of her recipes you should bring to Thanksgiving dinner! Thick. Creamy. Hot. Hard. Ree swears that when she finds herself thinking about her Hard Sauce recipe, suddenly her “eyes are closing in bliss” and she’s licking her lips. She pleads readers to plop their sauce on something warm and enjoy the booze on their breath. What is it made of? Who knows! I didn’t even get through half of the second paragraph of her recipe blog before I had enough innuendos to write this blurb. What do you get when you combine the gallon sized Ziploc baggie full of turkey slices your mom sent home with you after Thanksgiving with a semi-legal substance-induced case of the munchies? Typically, something like the Pioneer Woman’s Turkey Spring Rolls. 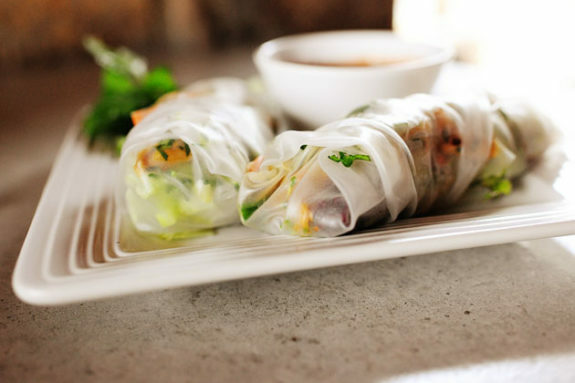 This recipe combines the fresh flavors of a traditional Asian food with your favorite Thanksgiving bird to create a new and exciting spring roll. As if white people haven’t ruined enough things already. With the temperatures dropping across the metro and me not being able to remember where in the hell I stored my heated blanket after last winter, we Oklahomans could use some warmth. Thankfully, the Pioneer Woman’s Hot Apple Cider was made to warm your bones. 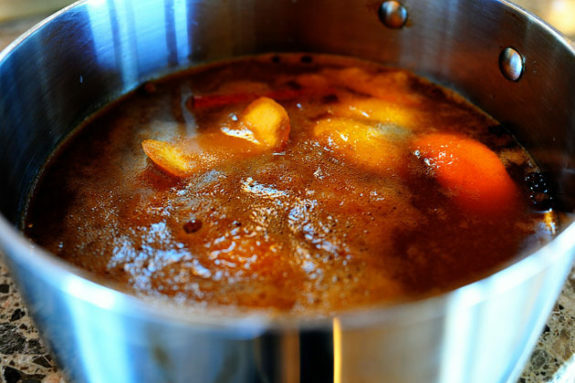 The concoction combines apple juice, maple syrup, spices, and whiskey simmered on the stove to create a hot drink that will heat you from the inside out. That sounds good and all, but I am more of a fan of the TLO cider myself. For that, just poor 3-8 ounces of whiskey in a glass and nuke it in the microwave for 30 seconds. It will get the same job done without wasting your kid’s apple juice to water down your booze. Calling for fresh blackberries, limes, and sugar is enough to make your mouth water. But it’s the calling for 2 cups of tequila that really made this recipe catch my eye. 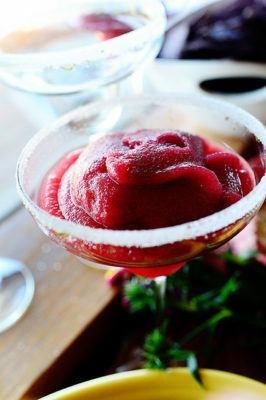 Celebrate Thanksgiving with this delicious Black Berry Margarita recipe. Okay, so this one is actually from the Pioneer Woman’s Cinco de Mayo recipe collection. But scientifically speaking most Oklahomans can’t spend more than 30 minutes with extended family members without wanting a stiff drink, so I’m making the argument that this is a great Thanksgiving recipe. 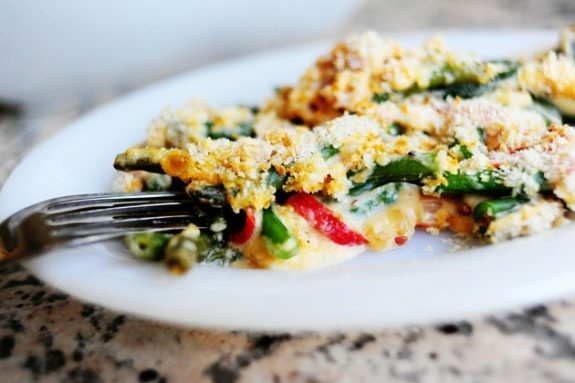 This dish combines fresh green beans, sharp cheddar cheese, chopped onions, and cayenne pepper. However, it does not call for an entire can of French’s® French Fried Onions to layer on top, so good luck actually getting anyone to eat this green bean casserole. Doesn’t nuking whiskey at full power cause a lot of the alcohol to boil off? I’m no recipe maven like Ree or Hayley, but I suggest taking a bit more time on the defrost cycle. Be patient. It’s worth it. Stuff like this kills me. I mean outside of Gaillardia and Nichols Hills where the help does the cooking who lives like that? We consider it a good Thanksgiving if the Milwaukee’s Best comes cold and the cops don’t show up.